Treon's Realm: Hyrule Historia Shoots To The Top Of Amazon's Best Seller List! Hyrule Historia Shoots To The Top Of Amazon's Best Seller List! 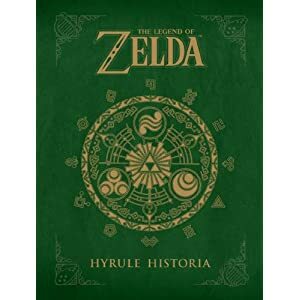 Hyrule Historia has officially launched today and it has made quite an impact on not only the video game industry but the literary sales charts as well. Back in August, the book shot to the top of the Amazon best seller list due to the English translation announcement and pre-order campaign. The book has since spent the last 93 days in the top 100 and has once again taken the number 1 spot on the Amazon best seller list even displacing the highly successful 50 Shades of Grey trilogy. The book has also popped up on just about every gaming website and blog with people showing off pages and celebrating its release. It is quite interesting to see a piece of literature based on a video game dominate the Amazon top selling book list in such a way, it shows just how beloved this legendary series truly is. Darkhorse has even released an updated trailer to celebrate today's release. Enjoy and be sure to grab your copy!